These MagReaders Bifocal Safety Glasses by PIP are a quality bifocal safety glass at an economical price. The polycarbonate lens resists scratches and the durable nylon frame insures durability. 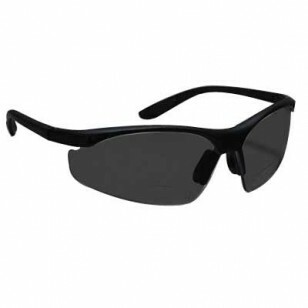 The extra wide bridge pads and soft temple pads make these bifocal safety glasses comfortable to wear for long periods of time. The gray lens provides UV protection.